I was all set to pursue a permanent railway career. I learnt genuine transferable principles and transferable skills such as self-motivation, problem-solving, initiative, critical analysis, responsibility, accountability, safety, accuracy, focus, precision, procedure, decision-making, prolonged concentration, self-discipline and self-management (all of which are applicable to learning the piano, studying music, and later running a business) through my father gaining permission for me in my teenage years when I was 15, 16, 17 and 18 years of age to accompany him at work in his railway signal box during the summer vacation from secondary school and later sixth-form college and also at times other holidays from secondary school and sixth-form college in preparation for a career on the railway. 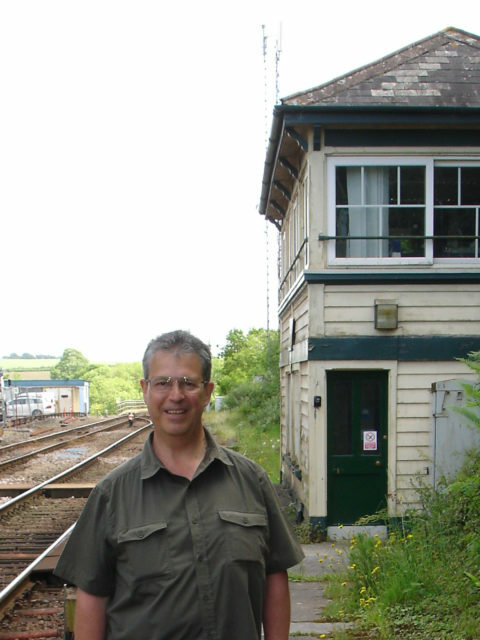 I also was fortunate enough to experience the workings of other signal boxes through signalmen my father knew. One such signalman was not only good at his job but excellent at providing explanations and if you had not understood the first time, a different way of explaining would be found until you did understand and then you would be tested to see if you had understood – a technique I found useful in later years when teaching! I had plans to become a high-speed inter-city express train driver and the work experience and apprenticeship on the railway in signalling helped to considerably broaden my horizons and in addition mentally stimulated me through an environment which I found to be of beneficial and significant learning interest. It is always good to have a specialist area of knowledge and experience outside one’s ‘evolved’ career and my early experience on the railway played a significant role in my teenage development and maturity which in turn fed into my later development as a musician and music tutor. It was indeed due to the people many years ago such as my sixth-form college teachers etc. who steered me in the direction of studying music further (particularly after I achieved The Associated Board of The Royal Schools of Music Grade 8 piano practical and Grade 8 theory of music) that I seemed to find a path in music and then more specifically music teaching, although I still have a passion for railways which is shared with my now elderly father and, I often think when travelling on a high-speed train, ‘I might have been driving this’! Who knows?